With this lovely summer weather, it is time to bring on the backyard BBQs! You know what accompanies backyard BBQs? Pasta salad. 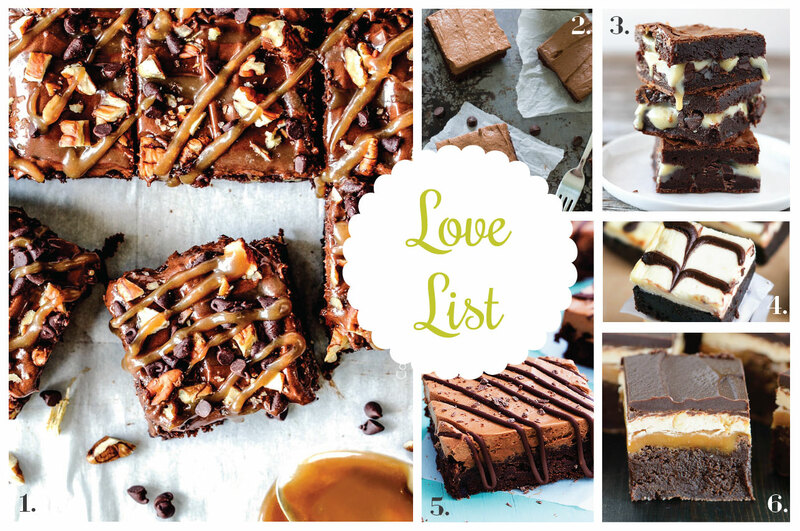 And lots of it! I love traditional macaroni salads with elbow noodles, crunchy veggies, olive oil, salt, pepper, and a little mayo. However, if you want to stretch outside your comfort zone and whip up a pasta salad that can please a crowd then look no further. 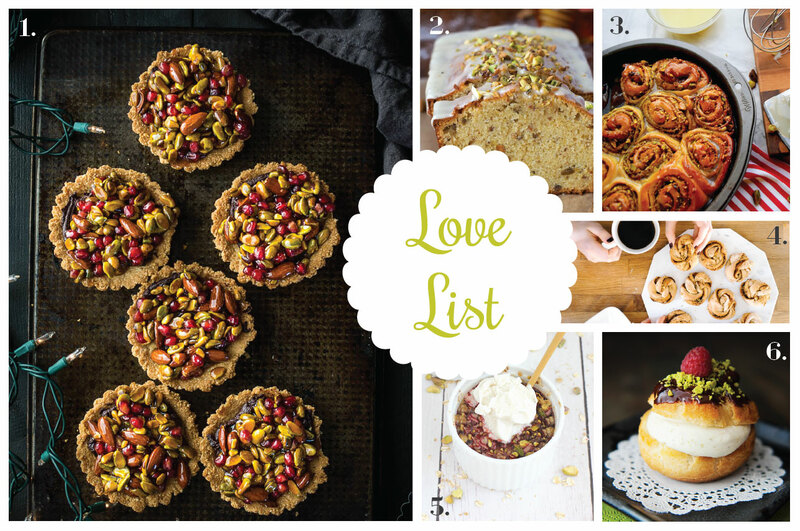 This love list is a round up of pasta salads with interesting flavor combinations! 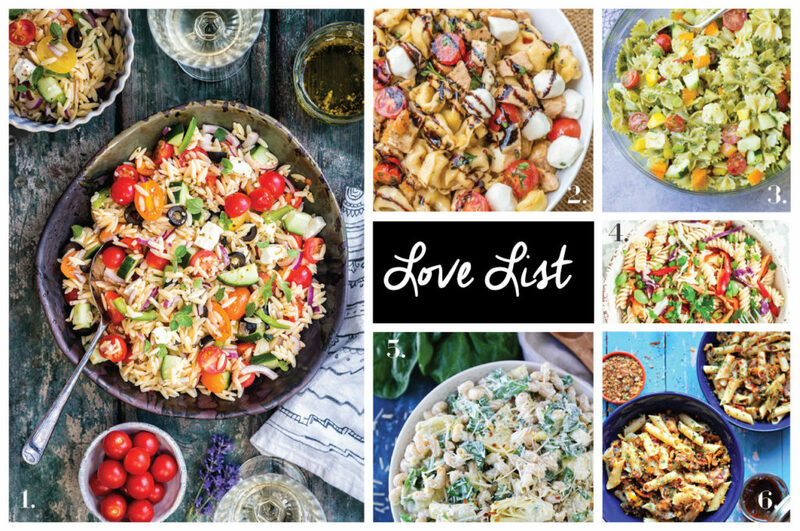 What is your favorite pasta salad? 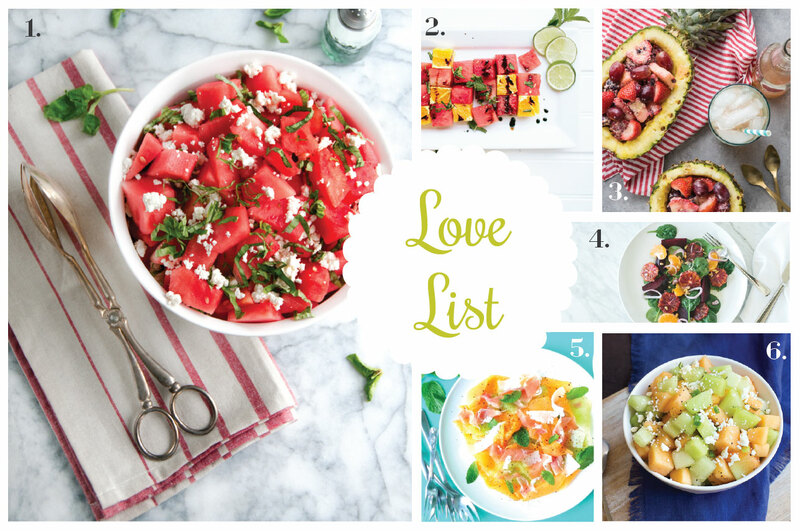 Love List 7/15/15: Summer Fruit Salads Love List 2/24/16: Pistachio Recipes Love List 2/17/16: Brownie Recipes Love List 5/19/17: Pizza Party!